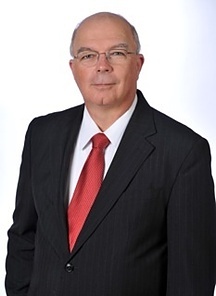 Hi, I'm John C. Grady, I'm a certified civil trial lawyer with 30 years of experience representing individuals and major corporations in New Jersey and Pennsylvania state and federal trial and appellate courts. Litigation can be costly so I also champion clients' interests in pre-suit or alternative dispute resolution forums and counsel preventative measures to limit or avoid litigation exposure. In my thirtieth year of practice as a trial lawyer I am continuing to embrace new techniques while refining those that have served me well in effectively shaping and presenting disputed matters to accomplish succesful results for my clients. Whether engaging in pre-litigation negotiations, alternative dispute resolution proceedings, trying a case before a judge or jury, or arguing appellate matters, I have an ability to digest complicated factual and legal issues and convert them into a compelling and persuasive presentation. In both private and public practice I have been effective in handling litigation matters including catastrophic personal injury, products liability, public entity liability and immunity, and insurance fraud. My insurance fraud and coverage experience is across multiple product lines including commercial, automobile, life, disability, marine, and health care. I have played a central role as an advocate in the pathfinding cases under the New Jersey Insurance Fraud Prevention Act while a Deputy Attorney General for the State of New Jersey and continue to apply those precedents on behalf of my insurance carrier clients. I have supervised and trained both attorneys and investigators regarding the identification of insurance fraud and the strategic presentation of such cases. Associate at Archer & Greiner, P.C. Civil, Municipal Court, and Matrimonial Litigation. Bar Admissions: 1982 - New Jersey, 1982-United States District Court - District of New Jersey,1983-United States District Court - Eastern District of Pennsylvania, 1983-United States Court of Appeals for the Third Circuit,	1986 - United States Supreme Court, 1989- Pennsylvania. Mr. Grady has been certified by the New Jersey Supreme Court as a Civil Trial Attorney and focuses primarily on insurance fraud and asset recovery litigation. Mr. Grady is the former Lead Deputy Attorney General for the State of New Jersey's Insurance Fraud Section where he handled trial and appellate litigation for the State and was involved in precedent setting litigation regarding New Jersey's Insurance Fraud Prevention Act, "IFPA". Mr. Grady helped to establish that preponderance of the evidence is the appropriate standard of proof under the IFPA and that proof of an intent to mislead or deceive is not a necessary element of a cause of action under the IFPA. Mr. Grady has been an instructor for the New Jersey Attorney General's Advocacy Institute and for the Office of the Insurance Fraud Prosecutor's civil investigator training program. Avid recreational reader, New York sports fan, former chorale tenor, and retired softball, flag football, and pick-up basketball player. Experienced youth sports coach, youth sports commissioner, and travel team parent.